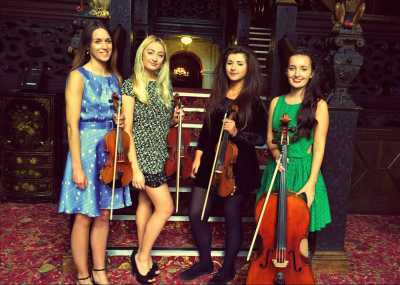 Welcome to the home of the UK's most talented wedding string quartets for hire. Nothing expresses elegance and refinement like a wedding string quartet. 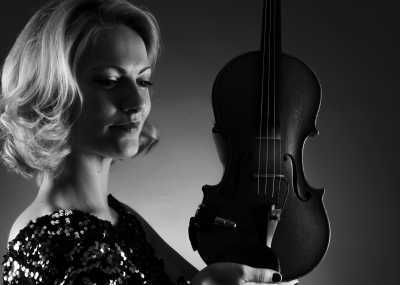 Add some sophistication to your special day with the spellbinding harmonies of our string quartets for weddings. 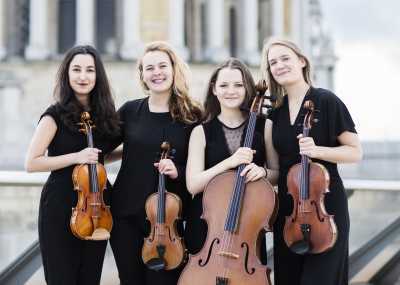 Professional, experienced, and exquisitely talented, our quartets are the best in the business. Ideal for drinks receptions and for the glide down the aisle, a wedding string quartet will add grace and sophistication to your day. Performing some of the most moving and romantic string quartet wedding music, our musicians will take your celebrations to the next level. 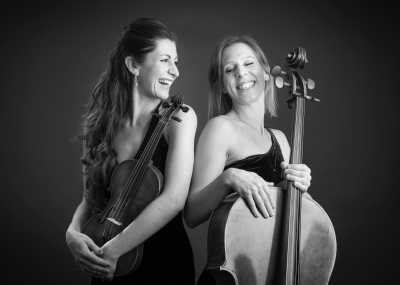 As well as quartets, you can hire string quintets, string trios, string duos and larger string ensembles. We also offer solo wedding violinists for hire. With their glorious crescendos and breathtaking symphonies, a string quartet wedding is one that won't be forgotten soon. All of our quartets have been hand-picked for their ability to deliver an incredible live experience, so you can be confident that you'll secure a crowd-winning performance for the big day. Get in touch when you've found the wedding string quartet of your dreams (or for help doing this) - we're on-hand anytime from 10am until 10pm, 7 days a week. 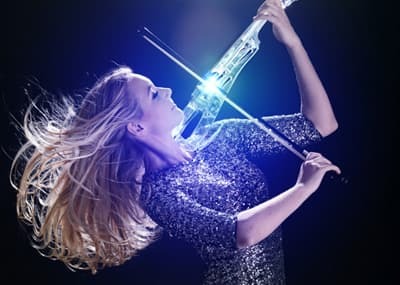 Everyone recognises the sumptuous sound of a string quartet, but which instruments in a string quartet combine to produce these characteristic harmonies? The makeup of a string quartet is as follows: 2 violins, 1 viola, and 1 cello. The varying tones of these string quartet instruments combine for a rich, sweeping, full-bodied sound. For a more in-depth string quartet definition, check out this article, which is packed with further information about string quartet history and what makes up a string quartet. How much does a wedding string quartet cost? An important question! 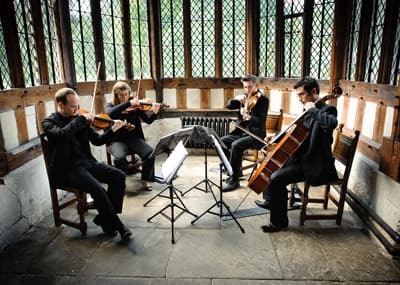 String quartet wedding prices vary, and the average cost of a string quartet for a wedding can range from £500 to £1000 or more. 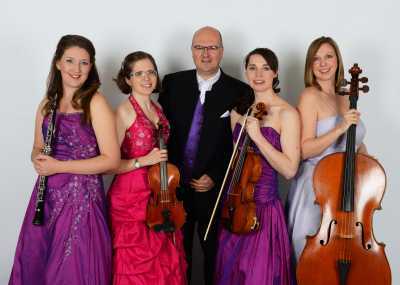 Whatever your budget, you'll find a variety of string quartet prices to suit your special day at Entertainment Nation. 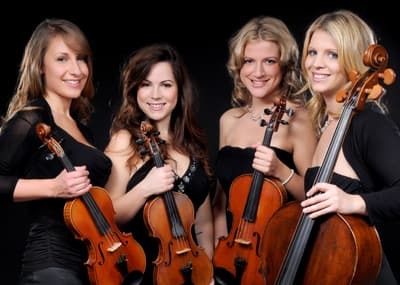 The most trusted string quartet wedding hire, every one of our acts has been vetted to an extremely high standard for their talent, skill and professionalism. This means that no matter how high or low your string quartet hire cost, you can be confident that your performers will be amazing. What are the most popular wedding string quartet songs? Our quartets perform a whole range of beautiful string quartet songs to walk down the aisle to or to entertain your guests with. Popular choices can range from a Pachelbel Canon in D string quartet arrangement to a Bittersweet Symphony string quartet arrangement - incorporating modern as well as traditional options. You'll find that most quartets perform songs from a whole range of genres, including jazz, rock, TV and film music, or music drawn from musicals and Bollywood. This means that you'll be able to cater your setlist to your own musical preferences, whether they're traditional or not. 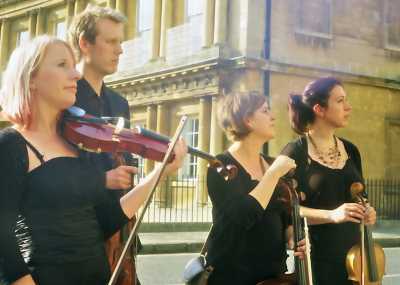 Can wedding string quartets play outside? Good news if yours is a summer wedding - the short answer is yes! However, there a few crucial things you need to make sure of if you want your wedding string quartet to perform outside. Firstly, the area will have to be safe from intervening weather - in the shade to avoid direct sunlight, and sheltered from gusts of wind that will interfere with the sound. Moisture can also wreak havoc with string quartet instruments, so make sure your wedding string quartet is protected from the rain as well. Level ground and armless chairs are also essentials! 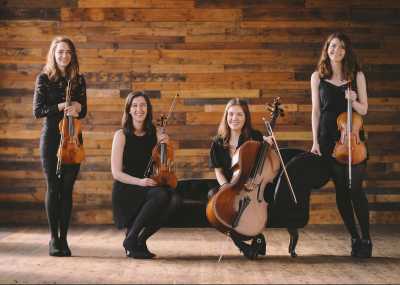 To hire your wedding string quartet, simply complete a quick enquiry form on your chosen act's profile and our team will be in touch right away. For your peace of mind, all bookings are made using a secure online payment system and secured with a comprehensive contract. Hire your wedding string quartet today!